Thailand’s northern capital, Chiang Mai is country’s second-most visited city after Bangkok. Formerly, no more than a hiilside, Chiang Mai has grown rapidly to become a tourist magnet and a major city in its own right. Chiang Mai consists of the old city and the newer part outside the city walls. Upon arrival at Chiangmai International Airport, you are to clear customs and immigration. After which, you will be greeted by our local tour guide and commence on an orientation tour of Chiangmai city covering Chiangmai City Moat. Chiangmai is one of the few cities in the world which has a well preserved moat. Surrounding the old town, on the outside of what was once the city walls, the moat covers approximately 2.5 square kilometers. Onwards to view the 3 Kings Monuments namely: King Mengrai, the founder of Chiangmai; his contemporary and reportedly good friend, King Ramakamhaeng of Sukothai and King Ngam Muang of Payao. According to the legend, the 3 Kings worked together in laying out the city of Chiangmai and this sculpture has become an iconic image that represents Chiangmai. Tonight, enjoy your dinner at a local restaurant and a visit to the Night Market to savour the local delicacies and for some shopping experience. Breakfast at hotel and onwards to Inthanon National Park, which is the highest point of Thailand. Upon arrival, you will do some trekking to reach the summit of Inthanon National Park. After which, take a scenic shot of the Wachirathan Waterfall and a view of the b. Visit a local Tribe Market followed by a visit to the Inthanon Royal Project where you will get a chance to learn about flower and vegetable cultivation. Breakfast at hotel and proceed to the Elephant Safri. Here, you will get a chance to interact with the elephants and see how the trainers bathe the elephants in the river. Next, enjoy an interesting elephant show where the elephants will showcase a couple of intelligent moves such as : playing soccer, basketball and drawing. You will also get to learn how elephant dung is being manufactured into paper, an initiative that was spearhead by the villagers who wanted to work towards an eco-friendly environment. Next, experience riding on an elephant, an ox and try your hands on bamboo rafting and have a buffet lunch at the Elephant Safari. After lunch, visit the Long Neck Village and the Rice Paddy Field. In this village lives a group of Padaung, which is a sub-group of Karen (Bwe Group) living in Kayah state of Eastern Burma on the Thai border. With less than 40,000 people in total, the Padaung call themselves ‘Lae Kur’ or ‘Kayan’. They have their own language which belongs to the Kenmic group in the Tibeto-Burman language family. After an interesting day, you will be transferred back to city and have dinner at a local restaurant before transferring back to hotel for your overnight stay. Breakfast at hotel and proceed to visit the Bann Tok Royal Project (Tea and Coffee Plantation) and the Green Tea Pillow making a nearby village. Here, you will learn about the royal project, how it came about and the process of tea and coffee. Engage yourselves with hands on activity such as making of a pillow, stuffed with green tea. Head back to Chiangmai city and be entertained by a Cultural Performance at the Kan Tok restaurant. 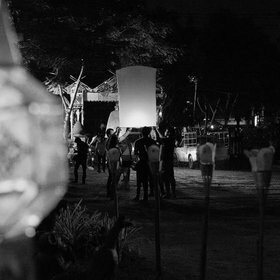 After dinner, experience releasing of the Hot Air Lantern to end off your day. Breakfast at hotel and after checking our of the hotel, we will proceed to visit Doi Sutep Temple. Located at the peak of Doi Sutep Mountain which is 3,051 feet high, this temple is considered to be the guardian temple of the city. The shinning pagoda of the temple can be seen from any given point in the city and the temple is the holiest of all temples in Chiangmai. The temple was built in the 16th century and is accessible by a short cable car ride up. After this, we will visit the Paper Umbrella Factory. Here, try your hands on umbrella painting and you can bring one home for souvenir. After lunch at a local restaurant, you will be transferred to Chiangmai International Airport for your homeward flight to Singapore. Arrive home with happy and fond memories of your tour with CTC Travel. Welcome to Culturally significant city in northern Thailand – Chiang Mai. Upon arrival, meet and greet by local representative. Thereafter, check in hotel for your accommodation. At night, enjoy the Khantoke Dinner, its signature northern meal. The northern khantoke dinner consists of an enticing array of many small dishes presented on an individual dining tray. And experience the culture through the Lanna-Style performance which will keep you entertained throughout dinner. After breakfast, proceed to wondrous and holy temple of Doi Suthep which is located near the top. You may take a short ride on the funicular cable car at your own expenses. At top, you can enjoy the cool air, and clouds allowing, the great views over the whole of Chiang Mai and to the mountains beyond. And also can see the Doi Suthep Golden Spire, Doi Suthep Architure and Naga Serpent Staircase. Thereafter, stop off at San Kham Pang Village (Home Industries), which is another province famous for its woven silk and cotton in Chiang Mai, as well as the major traditional handicraft center in Northern of Thailand. Here you can find Gems Gallery , Honey shop, Leather Factory, Umbrella and Healthy Food Products as Royal Jelly Bee or Honey etc. If time permits, you can visit Chiang Mai Night Bazaar for shopping at own arrangement. You will find a huge variety of brand name designer goods (real and fake), clothing, t-shirts, belts, shoes, jewellery, watches, DVD's &amp; CD's and local Thai goods at really low prices. Today departs for Chiang Mai. It is the northernmost large city in Thailand. En-route, stop off at Mae Kajan Hot Spring for relaxation. Thereafter, continue our journey to Wat Rong Khun, more well known among foreigners as the White Temple. It is unconventional Buddhist temple in Chiang Rai. Next, proceed to the border of Thailand and Myanmar – Mae Sai. You may can join the optional tour enter to Myanmar. Lastly, visit the Golden Triangle. Golden Triangle has been an area well-known for the growing of opium. You may can join the optional tour by boat trip along Mekong River. Proceed back to Chiang Mai. After breakfast, visit the Elephant Camp where are interesting performances by the elephants. You may experience a pleasant ride on an elephant at you own expenses to enjoy the scenic view on top of the elephant. Next, proceed to Monkey Show where the monkeys demonstrate with impressive range of talents and continue to Orchid &amp; Butterfly Farm. You can enjoy exotic year-round blooms. This farm also has special butterfly enclosures where tropical species can be seen in a natural environment. Today, you will be free till transfer to the airport for your flight back home. 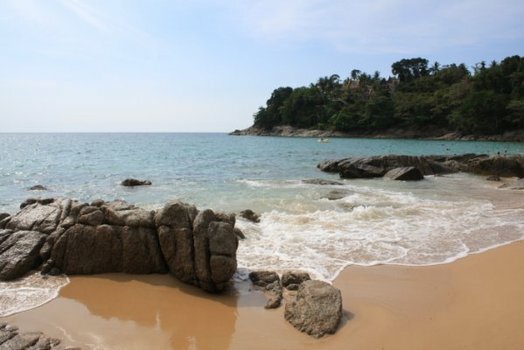 Welcome to the land of Thailand – Phuket. Upon arrival, you will enjoy complimentary city tour (only morning arrival), Followed by that, You will either be going to Fantasea or Siam Niramit Show &amp; Dinner. Today, is an exciting day, please make 1 of your choice, you may enjoy your day at Khai Island by speedboat or Phi Phi Island by cruise ride, or Phang-Nga Bay by long tail boat. After breakfast, you will be free till your transfer back to the airport. Please note that the itinerary subject to changes without prior notice. Depart on your scheduled flight from Singapore to Chiangmai. Upon arrival, meet our local representatives and you will go to see the exquisite Doi Suthep Temple, located in the western side of Chiangmai city on Doi Suthep at 929 feet above sea level. Get a beautiful overview of Chiangmai town by climbing the steep 300 steps of the winding dragon or by the tram car. Its encroaching frosted hill can be enjoyed from the temple compound for those who visit Chiangmai for religious purposes. After that, transfer to hotel for check-in. Enjoy a Khantoke Dinner with Thai dancing shows after the trip where you can get to know more about Northern Thai cuisine as well as their culture through the Lanna-Style performance. After breakfast, visit the Elephant Camp in a Nature Park and enjoy the amazing and amusing performance by the elephants. After the show, you can even ride on one of them at your own expense. Then, go on to watch the Human and snake fighting show, and the Monkey Show, where the monkeys demonstrate their impressive range of talents. Next, continue on to visit the Orchid &amp; Butterfly Farm - on displays are a profusion of blooms of all varieties, shapes, colors, and souvenirs are priced from a few baht for the common strains to a few hundred thousand for the more exotic species. After lunch, you will go on to the San Kham Pang Village (Home Industries) - another well-known place in Chiangmai, Thailand. This is the major traditional handicraft center in Northern Thailand where you can buy gems from the gems gallery, honey, leather products, umbrella, and health products such as the Royal Jelly. After breakfast, spend the day at your leisure until the transfer to Chiangmai Airport for your flight back to Singapore. Please note all itineraries are subject to changes without prior notice on the day. All Meals and itinerary can be adjusted according to arrival and departure flight timing. Should any inconveniences be caused following the visit to the Royal Flora Garden, destination will be changed to the Queen Sirikit Botanic Garden instead on the day of the Elephant Camp visit. Depart on your scheduled flight from Singapore to Chiangmai. Upon arrival, meet our local representatives and transfer to hotel for check-in. Later in the evening, enjoy a Khantoke Dinner with Thai dancing shows where you can get to know more about Northern Thai cuisine as well as their culture through the Lanna-Style performance. After breakfast, see the exquisite Doi Suthep Temple - Located in the western side of Chiangmai city on Doi Suthep at 929 feet above sea level. Get a beautiful overview of Chiangmai town by climbing the steep 300 steps of the winding dragon or by the tram car. Its encroaching frosted hill can be enjoyed from the temple compound for those who visit Chiangmai for religious purposes. Then, go on to visit the San Kham Pang Village (Home Industries) - another well-known place in Chiangmai, Thailand. This is the major traditional handicraft center in Northern Thailand where you can buy gems from the gems gallery, honey, leather products, umbrella, and health products such as the Royal Jelly. After breakfast, you will go for a day tour to Chiangrai. Along the way, visit the Mae Kajan Hot Spring and the exquisite White Temple (Rong Khun Temple). After that, go on to the Golden Triangle; where the Mekong River and Kong River intersects, lies the gate bordering Thailand, Burma and Laos. Then, you will visit Mae Sai, the northernmost town in Thailand, separated from Burma only by a bridge. There will be many shops selling an assortment of Myanmese handicrafts and souvenirs. After dinner, you will be transferred back to Chiangmai. After breakfast, visit the Elephant Camp in a Nature Park and enjoy the amazing and amusing performance by the elephants. After the show, you can even ride on one of them at your own expense. Then, go on to watch the Human and snake fighting show, and the Monkey Show, where the monkeys demonstrate their impressive range of talents. Next, continue on to visit the Orchid &amp; Butterfly Farm - on displays are a profusion of blooms of all varieties, shapes, colors, and souvenirs are priced from a few baht for the common strains to a few hundred thousand for the more exotic species. After breakfast, you will be free at own leisure until your transfer to the airport for your flight back to Singapore. Upon arrrival, transfer to Doi Suthep Temple (included entrance fee, excluded tram fees), after transfer to Hotel (Khantoke Dinner with Thai Dancing Shows). Visit Elephant Camp, Orchid &amp; Butterfly Farm, Monkey Show, Human &amp; Snake Fighting Show, Sam Kham Pang Village (Home Industries). Chiangrai day tour - Visit Mae Kajan Hotspring, White Temple (Rong Khun Temple), Golden Triangle, Mae Sai. After transfer back to Chiang Mai. Today, free at leisure until time to transfer to airport. Welcome to Bangkok! Upon arrival you will be transferred to your hotel and the remainder of today is at your leisure to relax and enjoy. Overnight in Bangkok. After breakfast at your hotel, meet with your guide and head out of your hotel for a sightseeing in the City of Angels using exclusively public means of transportation. Take a public boat to Tha Thien pier where you disembark to visit Wat Po the home of Thai massage and the reclining Buddha. Continue to visit the Grand Palace. The Royal Grand Palace is the nation’s landmark and the most revered royal monument and host of the mysterious Emerald Buddha, the most revered Buddha image in Thailand. Appropriate dress is required (or can be rented on site). Walk or Tuk Tuk across the royal fields of Sanam Luang and eventually push up to the backpacker’s mecqua of Khao San Road (approx 20 mn). Back to the Thai Champs Elysées, Rachadamnoen, where you’ll get in tuk-tuks to reach a local Thai restaurant for a delicious lunch. After lunch, walk to the end of the avenue to the historical Klong (Canal) Saen Saap, board the klong “bus-boat” and cross the city to the west. Disembark for a short walk in Ratchathewi boat station to visit Jim Thompson’s House Museum. After the visit, the opportunity is given for shopping in one of the 5 huge shopping complex of the area (MBK, Siam Square, Siam Center, Siam Discovery, Siam Paragon), or simply return to your hotel by BTS. Overnight in Bangkok. Your guide will meet you at your hotel and assist with your transfer to the airport for your flight to Luang Prabang. Upon arrival at Luang Prabang airport, your guide will be waiting to greet you and transfer you to your hotel. A half-day orientation of Luang Prabang gives you a brief, yet informative, look in to the history and culture of this small town. The first stop will take you to a Wat (temple), the spiritual center of Laos’ Buddhist culture. You might have the opportunity to speak with monks or novices who live at the temple and gain insight into the spiritual life of the Lao people. 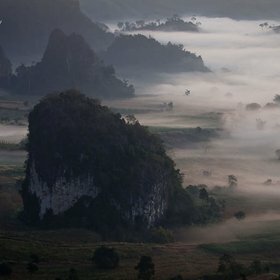 Your next step will be at Phou Si Mountain, located in the center of town. Climb the 328 steps that lead to the top of the hill where you will be rewarded with marvelous views of the Mekong and Nam Khan Rivers, the neighboring mountain ranges, and the city buildings. The sunset views are particularly spectacular as the sun casts glorious colors over the peaceful scenery below. Descend the steps on the opposite side of the hill and stroll to the nearby colorful Night Market. Every evening along the main street, the area’s ethnic minorities gather to sell their handicrafts. The quiet evening atmosphere and soft lights of the stalls combine to create a magical market setting from which to shop for souvenirs. This evening enjoy dining at L’Eléphant, one of the city’s best restaurants. Overnight in Luang Prabang. For early risers, there is a very special dawn visit to watch the monks collecting the alms. As the sun begins to rise, long lines of orange-robed monks leave their pagodas and walk barefoot down the streets collecting offerings from Luang Prabang residents. It is a beautiful, serene ceremony that highlights the spiritualism of the Laos people. Return to the hotel for breakfast Transfer by vehicle to the Historical Old Town of central Luang Prabang where your tour begins at the fresh market. Accompanied by your guide, walk through the rows of stalls looking at what is on sale. The locals come here every day to shop for vegetables, fruits and other exotic specialties and delicacies. The market is adjacent to the National Museum, your next stop. Once the Royal Palace of Laos, the National Museum is filled with art, artifacts, and jewels and a visit examines the history and rich culture of the country (closed on Tuesdays). After this, continue your tour of Luang Prabang by visiting some of the city’s most important temples. Start at Wat Visoun, where you will see the famous Watermelon Stupa, shaped like the fruit from which it takes its name. This temple was destroyed in 1887 by the invading Black Flags from China, and was restored in 1930 by Buddhist monks and local people. We will also visit Wat Aham where you will see the altar of the 2 guardian spirits of Luang Prabang. Enjoy lunch in town at Tamarind restaurant where you will have a chance to sample unusual local specialties not available back home. 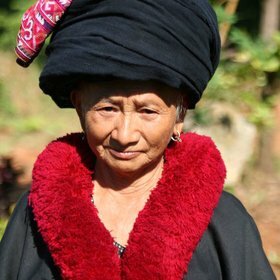 This afternoon, head to Ock Pop Tok to experience textiles in Laos - the history, methods, and cultural significance. You will have a chance to design and/or dye your own scarf. Take a break at Le Patio Café, located inside the Traditional Arts and Ethnology Center (TAEC), and sip a local brew of coffee. Then, take a tour of TAEC, a museum dedicated to exploring the rich diversity of Laos’ ethnic minorities. Traditional costumes, tools, and artifacts are on display alongside in-depth descriptions and written histories. It is a great opportunity to gain insight in to the Lao people. Late this afternoon, experience the wonderful flavors of Lao cuisine with a Lao cooking class. Led by Chef Mr. Chantanong from The Residence Phou Vao, the cooking course is a fun, hands-on way to learn about the ingredients involved and techniques used to create the local cuisine. The cooking class can be organized in the main kitchen or outside, in front of the pool, overlooking the Phousi mountain. At the end of the course, sit down to enjoy a delicious dinner which you have helped prepare. Participants will also receive a book of Lao recipes and a certificate from the chef. Overnight in Luang Prabang. This morning venture to Luang Prabang’s peninsula where the Mekong and Nam Khan Rivers merge. The beautiful Wat Xieng Thong is located here and a visit to the temple unveils golden gates, ornaments, and colorful murals. After exploring the temple, walk to the nearby pier to board the ‘Nava Mekong’ a traditional river boat that will enable you to enjoy a leisurely paced cruise up and down the mystical Mekong River. As you leave the peninsula of Luang Prabang behind you, you witness rural life and peaceful sceneries on the banks of the river as you cruise upstream. After just a bit more than an hour, you reach Pak Ou caves at the confluence of the Mekong and Nam Ou River giving its name to the location. In these 2 caves are displayed hundreds of sacred centuries-old Buddha images which are the object of pilgrimages during the Lao New Year festivities around mid April. The venue offers amateur photographers endless possibilities. The boat then keeps cruising in the vicinity of the caves and will moor during lunch time at the foot of beautiful limestone cliffs. A selection of typical Lao dishes will be served onboard. Cruise back to Luang Prabang and return in the early afternoon. On the way back to town, visit 2 villages, Ban Xang Khong and Ban Xien Lek, where traditional Lao textiles and Saa (Mulberry) Paper are produced. The remainder of today is at your leisure for additional sight-seeing or relaxing in this charming city until dinner this evening at Couleur Café. Overnight in Luang Prabang. This morning transfer to the airport for your flight to Vientiane, the capital of Laos. (QV 101, 1150-1230, subject to change without prior notice from the airlines). On arrival, your luggage will be transferred to the hotel while you enjoy your lunch at Makphet. Makphet is a charity-run restaurant that supports street children by providing them training and a job at the vocational restaurant. The food served is delicious, made from fresh ingredients, and prepared in a kitchen which meets the highest international standards of hygiene. Continue to Makphet Restaurant for lunch. This afternoon, visit “Les Artisans Lao”. Here the trainees transform recycled and renewable materials such as bamboo, palm, and mulberry leaves into quality notebooks, stationary and printer paper. Carved wood materials and coconut based products are also crafted here. By visiting the centre, you help promote poverty alleviation by supporting the creation of livelihood opportunities for disadvantaged groups as they learn a new, sustainable trade. Drive along the Mekong River and continue to the Patuxay monument, Laos’ version of the Arc de Triomphe. Stop here to climb the stairs to the top of Patuxay to enjoy a panoramic view over the city. Before sunset, enjoy a stroll along the Mekong River banks and stop, if you wish, to enjoy a cold drink at one of the many riverside food stalls. This evening, dinner is at Chez Philippe restaurant, one of the best tables in town, renowned for its French dishes served in a cozy and intimate atmosphere. Overnight in Vientiane. Start this morning with a visit to That Luang, the holiest site in Laos. Constructed by King Setthethirat in the 16th century, the temple is resplendent as the sun is shines upon its towering golden spire. Continue down Lane Xang Avenue the serene Wat Sisaket, the only temple left intact after the Siamese (Thai) invasion in 1828. It is one of the most beautiful temples in the capital, and its breezy teak covered hallways are filled with thousands of miniature Buddha statues. Continue on to the nearby Wat Phra Keo. Used as a religious museum, Wat Phra Keo displays a collection of both Lao and Khmer works of art. Enjoy lunch at “Le Central” restaurant, a French style bistro run and managed by French expatriates. The food is delicious “home style” French cuisine with just the right twist to turn each dish into a feast for the eyes! This afternoon is free for you to enjoy shopping, more sightseeing, or a spa treatment. Pamper yourself after a day out by a stop at a local Spa where professionally trained masseuses will take care of you by using different kinds of techniques and natural products to relieve your tensions accumulated during the day. For your final evening in Laos, a unique, traditional Lao ceremony is prepared. The Baci is performed in celebration of an important event such as weddings, births, or for welcoming guests and is a means of expressing good will and good luck to others. The Lao believe that each person has 32 spirits which constitute their spiritual essence and the Baci is the ritual used to call back any escaped spirits in to the body. During the Baci, special flower trays and food treats are prepared which are then touch by the participants while a Buddhist mantra is chanted. After the chanting is completed, cotton threads are tied around the participants’ wrist whilst they receive an individual blessing. Afterwards, as is tradition, all participants will sit down to share a delicious meal. Enjoy authentic Lao cuisine in the comfort of your hosts’ home and spend time talking and interacting with the friendly locals. Overnight in Vientiane. Your guide and private car will meet you at your hotel and transfer you to the airport onward flight to Phnom Penh. Upon arrival at Phnom Penh International Airport, you will be greeted by your guide and transferred to your hotel right in the heart of the city. Phnom Penh was once considered one of the most beautiful cities in the Orient, and despite its recent turbulent history it still retains a colonial charm as much of its original architecture remains. Cambodia’s capital is a bustling city majestically located at the confluence of the mighty rivers of the Mekong and the Tonlé Sap. Wide tree-lined boulevards and many colonial-era buildings reflect the glorious days and add to the charm of the city where Asian traditions meet Western customs in a fascinating way. Relax and unwind after your flight as you will have some time at leisure. Enjoy an atmospheric sunset river cruise and watch how Phnom Penh’s popular riverfront awakens to life while tasting the local coconuts, a popular and refreshing drink. Overnight in Phnom Penh. After breakfast at the hotel, depart on a city tour in a typical cyclo. First, visit Wat Phnom, which is situated near the northern boundary of the city. The original temple was built in 1372 by a rich Khmer lady named Penh, who found a collection of statues of the Buddha washed up on the river bank and decided to house them on a nearby hill ("Phnom"). The site contains some good examples of Khmer architecture and statues. You will visit the most remarkable sights Phnom Penh has to offer. First, you will head to the National Museum which was designed by George Groslier and the Ecole des Arts Cambodgiens. The museum was built in traditional Khmer style in 1917 and was inaugurated in 1920 by King Sisowath. It houses the world's foremost collection of ancient Khmer archaeological, religious, and artistic artefacts from the 4th to the 13th centuries. Over 5,000 pieces are on display, constituting the repository of the Kingdom's cultural wealth. In addition, the roof space is home to a large bat colony! Continue on foot to the Royal Palace. This palace dates back to 1866 and was the last palace built during the French colonial period. The same complex houses the Silver Pagoda, named for the over 5000 heavy silver tiles that cover its floors. Its original name is Wat Prakeo, meaning Temple of the Emerald Buddha. In this temple you will view a collection of Buddhas in gold, silver, crystal, and bronze. Overnight in Phnom Penh. Mid-morning, you will be transferred to the airport for your flight across Cambodia to Siem Reap, the gateway to the majestic temples of Angkor and a charming little city. Your guide will meet you and accompany you while you check into your hotel. Settle in and refresh. After a lunch break, depart by Tuk Tuk on a very special sightseeing tour of the famous Angkor Wat. Built during the reign of King Suryavarman II in the early 12th century, Angkor Wat is constructed following the model of the temple mountain symbolising the Mount Meru, home of the gods. The divine residence of Vishnu, the King himself was to reside here after his death. Inside the temple, the walls are covered with stone carvings and bas-reliefs depicting Hindu mythology and the wars Suryavarman II fought during his reign. Moreover, Angkor Wat is well known for the over 2.000 Apsara dancers decorating the temple. Construction is thought to have taken some thirty years of intensive labor. Today, Angkor Wat is figured on Cambodia's national flag as the temple symbolizes the soul of the Khmer people. Overnight in Siem Reap. After breakfast, head out to Beng Mealea, a temple tucked away deep in the Cambodian jungle. During the one hour drive, you will get a glimpse of the beautiful Cambodian countryside. Along the way, your English speaking guide will explain a bit of the history of the region and point out sights along the way. Upon arrival, explore Beng Mealea. This temple is often missed out by the crowds but offers excellent opportunities to take pictures and is often regarded to as one of the most adventurous temples in Cambodia. Continue on to Koh Ker, an area only recently opened to tourists. Here you will see various temples from the 10th century, including the massive Prasat Thom. Enjoy a delicious Picnic Lunch at the temples. After your visit, drive back to Siem Reap town. The remainder of this afternoon is at your leisure until transferring to the airport for your onward flight. Optional Helicopter Flight: Fly from Siem Reap directly to Beng Mealea and Koh Ker. You will have an incredible view of Angkor Wat as you view the entire temple complex from the air. This is the best way to grasp the sheer enormity of the former Khmer empire. Upon arrival in Bangkok you will be transferred to your hotel for an evening at your leisure. Overnight in Bangkok. This morning is free for last minute shopping or sightseeing before transferring to the airport for your departure flight. • Accommodation in selected hotel on Double/Twin Room with breakfast. • Airfares for international flights: Bangkok – Luang Prabang, Phnom Penh – Siem Reap – Bangkok. • All entrance fees as indicated in itinerary + 3 day Angkor Wat entrance fee. • City tour in Phnom Penh. • Visit to the temples of Angkor. • All airport and departure taxes (Cambodia USD 25). 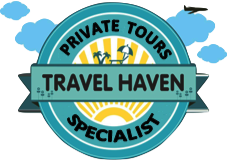 • Personal travel insurance (must include helicopter evacuation for Cambodia). • Tips for guide, driver, boat crew & hotels' porters. • Meals not indicated in the itinerary. Depart on your scheduled flight from Singapore to Chiangmai. Upon arrival, meet our local representatives and you will go to see the exquisite Doi Suthep Temple - Located in the western side of Chiangmai city on Doi Suthep at 929 feet above sea level. Get a beautiful overview of Chiangmai town by climbing the steep 300 steps of the winding dragon or by the tram car. Its encroaching frosted hill can be enjoyed from the temple compound for those who visit Chiangmai for religious purposes. After that, you will go to the San Kham Pang Village (Home Industries) - another well-known place in Chiangmai, Thailand. This is the major traditional handicraft center in Northern Thailand where you can buy gems from the gems gallery, honey, leather products, umbrella, and health products such as the Royal Jelly. Thereafter, transfer to hotel for check-in. Enjoy a Khantoke Dinner with Thai dancing shows after the trip where you can get to know more about Northern Thai cuisine as well as their culture through the Lanna-Style performance. Depart on your scheduled flight from Singapore to Chiangmai. Upon arrival, meet our local representatives and you will go to see the exquisite Doi Suthep Temple - Located in the western side of Chiangmai city on Doi Suthep at 929 feet above sea level. Get a beautiful overview of Chiangmai town by climbing the steep 300 steps of the winding dragon or by the tram car. Its encroaching frosted hill can be enjoyed from the temple compound for those who visit Chiangmai for religious purposes. After that transfer to hotel for check-in. Enjoy a Khantoke Dinner with Thai dancing shows after the trip where you can get to know more about Northern Thai cuisine as well as their culture through the Lanna-Style performance. After breakfast, visit the Elephant Camp in a Nature Park and enjoy the amazing and amusing performance by the elephants. After the show, you can even ride on one of them at your own expense. Then, go on to watch the Human and snake fighting show, and the Monkey Show, where the monkeys demonstrate their impressive range of talents. (Afterwards, explore the Mix Hill Tribes village, home to the Long Neck, White Karen, Lahuchibalah, Mong [Meo], and Pharong [Long Ears] people.) Next, continue on to visit the Orchid &amp; Butterfly Farm - on displays are a profusion of blooms of all varieties, shapes, colors, and souvenirs are priced from a few baht for the common strains to a few hundred thousand for the more exotic species. After lunch, you will go on to the San Kham Pang Village (Home Industries) - another well-known place in Chiangmai, Thailand. This is the major traditional handicraft center in Northern Thailand where you can buy gems from the gems gallery, honey, leather products, umbrella, and health products such as the Royal Jelly. After breakfast, you will be free at own leisure until the transfer to the airport for your flight back home to Singapore. Depart on your scheduled flight from Singapore to Chiangmai. Upon arrival, meet our local representatives and proceed to visit Doi Suthep Temple. After that, transfer to hotel for check-in. Later in the evening, enjoy a Khantoke Dinner with Thai dancing shows where you can get to know more about Northern Thai cuisine as well as their culture through the Lanna-Style performance. After breakfast, experience a tour at Maetang Elephant, see the elephant shows, and get a ride of an elephant, ex-cart and take a bamboo raft. Next, visit the Orchid &amp; Butterfly Farm - on displays are a profusion of blooms of all varieties, shapes, colors, and souvenirs are priced from a few baht for the common strains to a few hundred thousand for the more exotic species. Then, go on to visit the San Kham Pang Village (Home Industries) - another well-known place in Chiangmai, Thailand. This is the major traditional handicraft center in Northern Thailand where you can buy gems from the gems gallery, honey, leather products, umbrella, and health products such as the Royal Jelly. 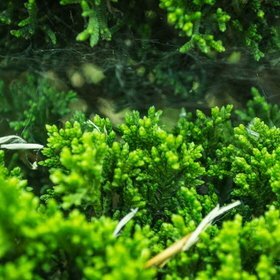 Thailand memiliki apapun yang para turis cari. Anda suka dengan wisata alam? Thailand punya hutan-hutan tropis yang tumbuh lebat dan pantai-pantai indah dengan air sejernih kristal. Anda tertarik dengan wisata budaya? Tenang saja. 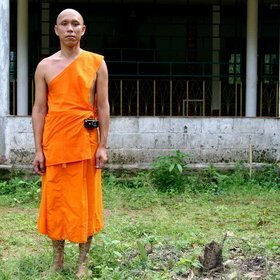 Thailand dengan kebudayaannya yang sangat kuat dan dipengaruhi oleh ajaran Buddha menyimpan banyak kuil yang siap Anda kunjungi. Bahkan, Thailand memiliki patung Buddha yang tingginya mencapai hampir 100 meter. Thailand juga menyediakan beragam akomodasi untuk para wisatawan dengan harga mulai dari level backpacker sampai level high-end. Keramahan masyarakatnya pun juga akan membuat liburan di Thailand semakin menyenangkan. Ada beberapa kota di Thailand yang menjadi destinasi favorit turis. Kota pertama sudah pasti ibu kota Thailand, Bangkok. Di Bangkok, Anda dapat berkunjung ke Grand Palace, Wat Pho, Wat Phra Kaew, Jim Thompson House, Central World, dan Khao San Road. Kunjungan ke Ayutthaya, kota yang diakui sebagai warisan dunia oleh UNESCO, juga tidak boleh dilewatkan. Anda juga bisa mengambil paket wisata khusus ke kota Pattaya dan singgah di Tiffany Show, The Sanctuary of Truth, Pattaya Floating Market, Ripley’s Believe It or Not, Pattaya Elephant Village, dan Underwater World Pattaya. 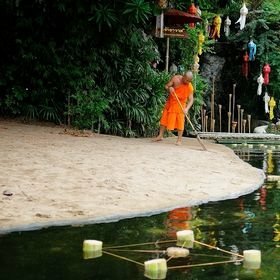 Selain itu, kawasan Phuket juga menjadi tempat persinggahan favorit para turis karena terdapat Phang Nga Bay, Patong Beach, Kata Yai Beach, Big Buddha, Phuket Fantasea, dan Splash Jungle Water Park. Kalau sudah di Phuket, menyeberanglah ke Phi Phi Island, lokasi shooting film The Beach. Anda juga dapat melengkapi paket liburan ke Thailand dengan mengunjungi tempat-tempat wisata di Chiang Mai, seperti Wat Chedi Luang, Wat Phra Singh, Elephant Nature Park, dan Chiang Mai National Museum.